4k00:14One cat bengal walks on the green grass. Bengal kitty learns to walk along the forest. Asian leopard cat tries to hide in the grass. Reed domesticated cat in nature. Domestic cat on beach near river. 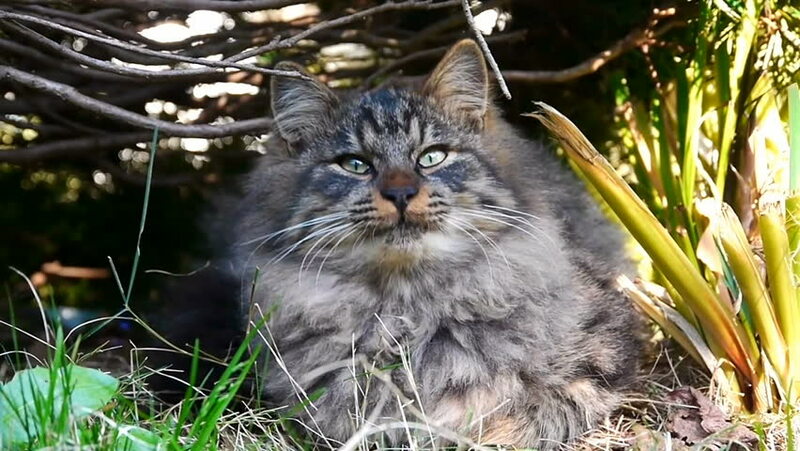 hd00:24Cat in the forest sitting under tree. The action in real time.